Solve the puzzles to beat Hidden in Plain Sight. 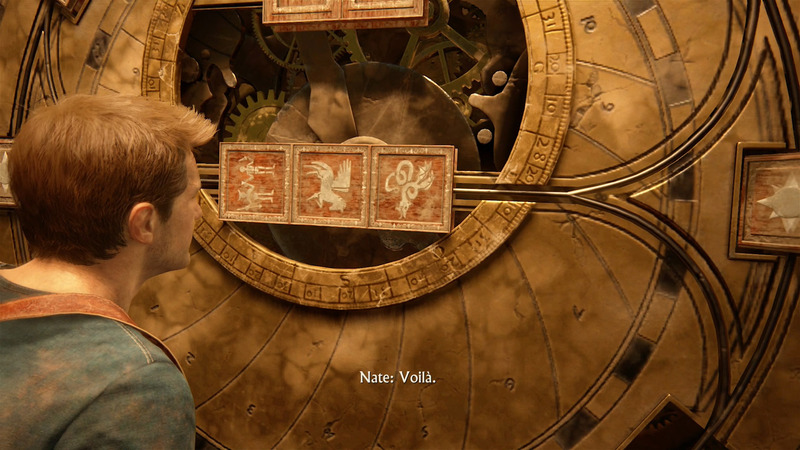 This walkthrough will help gamers beat Chapter 11, titled Uncharted 4: Hidden in Plain Sight, including solving the clock tower puzzle and the founders puzzle. Begin the next chapter of Uncharted 4 by moving through the crowd with Sully, heading right and speaking to a vendor who will sell you a piece of Treasure. When you’re done, keep moving through the busy market until you reach the tower. The doors will be locked, but you can climb through a window on the right side. Do so and head into the main room to find Edward England’s sigil. Ring the bells in the clock tower in the same order that they appear in your notebook. Explore the building, finding another piece of Treasure in a small room beside where you located the sigil. If you’re satisfied you’ve seen all there is in this area, go up the stairs and into the clock tower. 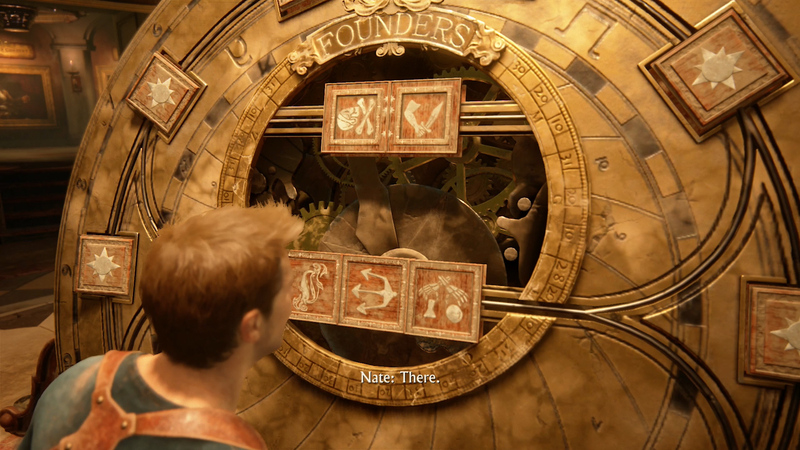 It’s here that you’ll have to solve the clock tower puzzle, which once again features Zodiac symbols. If you pull out your notebook, you’ll see that the symbols appeared in a specific order. You’ll need to ring the bells in that same order - Scorpio, Aquarius, Leo and Taurus. After ringing all the bells in the correct order, Avery’s sigil will appear in the floor, and you’ll have to ascend to the very top of the clock tower to ring one more bell to complete the first puzzle of Hidden in Plain Sight. 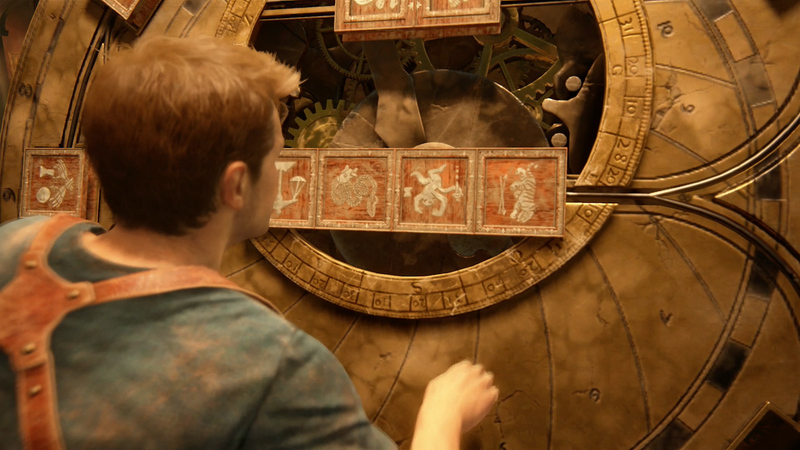 As you near the top you’ll find an open window, and to its left will be a couple of gears that control a clock outside. Climb onto the gears until you position the minute hand at about two o’clock. Climb out the window and crawl across the clock’s hands. As you reach the minute hand it will start to move due to your weight, so you have to hurry and leap to the opposite side. Head up to the wheel that controls the last bell, but Treasure hunters should keep going to find another piece sitting on a stone balcony above that. Once you’re ready, ring the bell and enjoy the ride, then begin to explore a bit more with Sully. It probably goes without saying, but you won't want to miss this shot with the grappling hook. In few moments you’ll find the founders puzzle, the second and last of Hidden in Plain Sight, displaying some of the sigils that you’ve been finding over the last chapter or two. There are several parts to solving this puzzle, and during each one you’ll have to rotate the sigils to line up a specific way. You do this by studying paintings in nearby rooms, each of which has the outline of a square on it. Approach the painting and press L2, then line your square up with the one on the painting and press Triangle. Do that for each painting in each room and you’ll have sketches of the sigils. 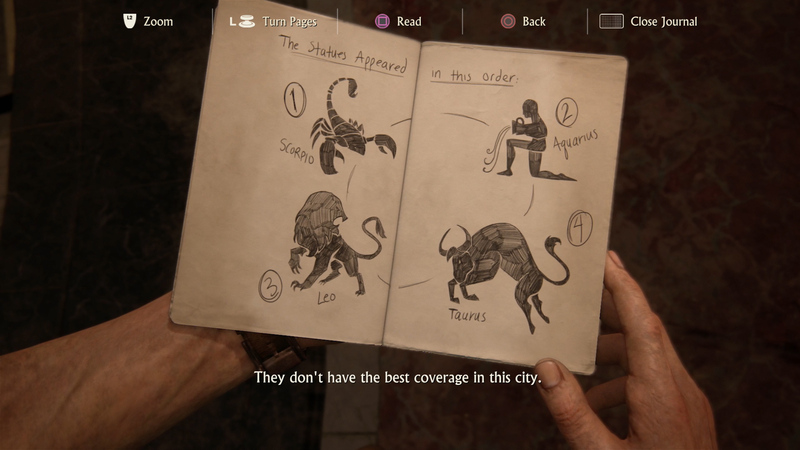 If you pull out your notebook after sketching a group of paintings, you’ll see that you can rotate the sigils to line up the stars. Do so in your notebook, and then head back into the main room and apply the solution to the main puzzle. This will unlock the next portion of the puzzle. Once you’ve solved all portions by using this method, you’ll be done. Of course, you could always take a shortcut and just copy the solutions that we’ve posted here. With the puzzle solved, the action portion of Hidden in Plain Sight will kick off, and it’s a fun one. This is the car chase scene that was shown off prior to launch, but first you’ll have to do some shooting. You really don’t need our help with it, just remember to use cover, toss grenades if you got them, and don’t get pinned down. Keep moving forward until you get back to the vehicle. There isn’t a set path to take with the 4x4. Just head downhill and the game will filter you into the spot that it ultimately wants you. You’ll eventually abandon the vehicle and enter into some high risk parkour, but again, it’s just a matter of hitting your spots. Once you start getting dragged behind vehicles, use L2 to aim as your normally would and try to kill the drivers of nearby vehicles. Cars don’t usually work without drivers. This will take you to the end of the chapter, which of course wraps up with a cinematic. 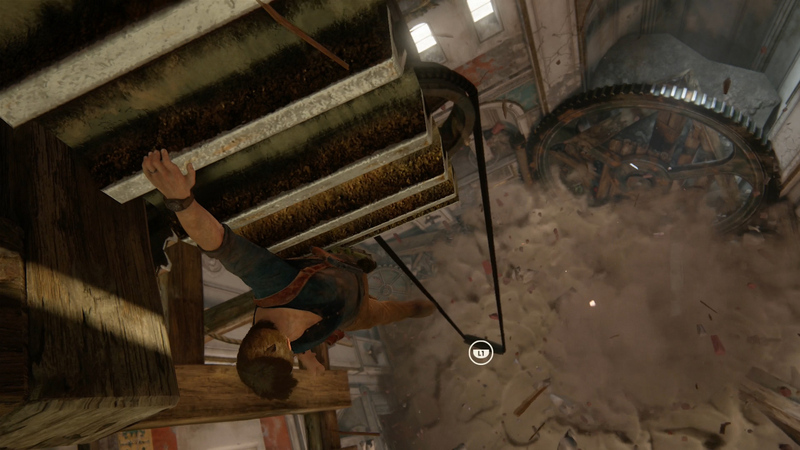 Visit our Uncharted 4 Walkthrough, or move directly from Hidden in Plain Sight to Uncharted 4: Chapter 12 - At Sea. Tagged with Guides,	Hidden in Plain Sight,	Naughty Dog,	USgamer. "I Feel Like There Are All These Red Flags"
THIS WEEK IN BUSINESS | Amy Hennig thinks AAA development needs a shake-up, influencers are talking about fewer games, and Valve pulls a Valve.